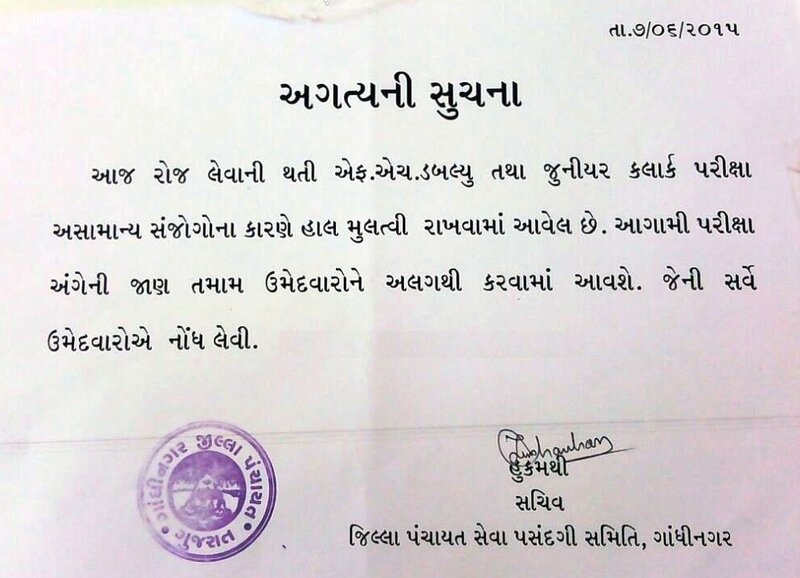 GPSSB Declared final result & Final Selection List for FHW Exam 2015 - Female Health Worker Results on Panchayat.gujarat.gov.in - This job is for the all female candidates of all district of Gujarat (India). 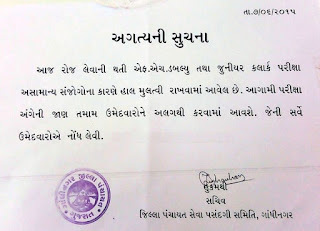 The VACANCIES is Female Health Worker Only on OJAS.GUJ.NIC.IN. 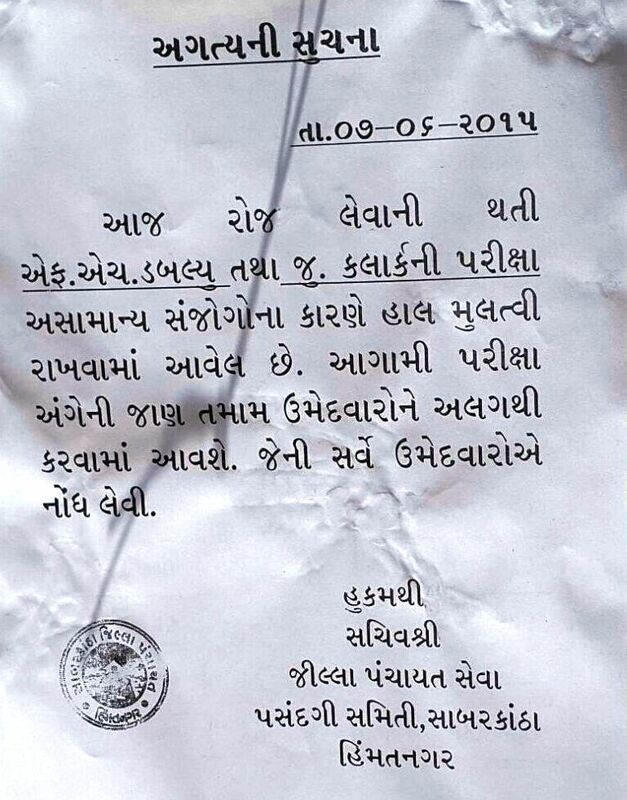 "Due to official reasons FHW Exam was cancelled, which was on 07-06-2015 for Gandhinagar and Sabarkantha Districts only, please note down new Exam date which is on 05-07-2015. 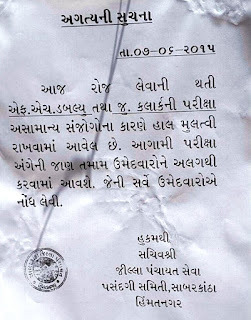 GPSSB Female Health Worker exam postponed in Banaskantha, Bharuch , Mahesana , Patan, Surendranagar Districts due to Govt reason, here is the advertisement by Officials.